The King's medicines for the plague. 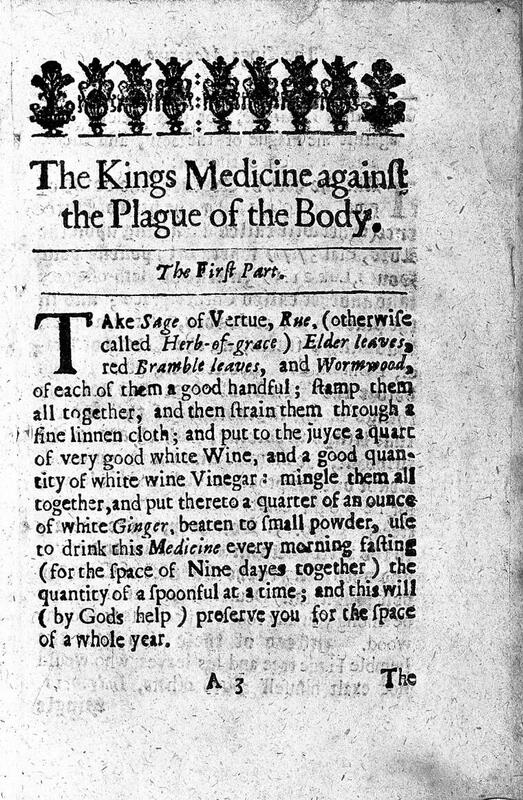 The King's medicine for the plague. A receipe for the prevention of plague.